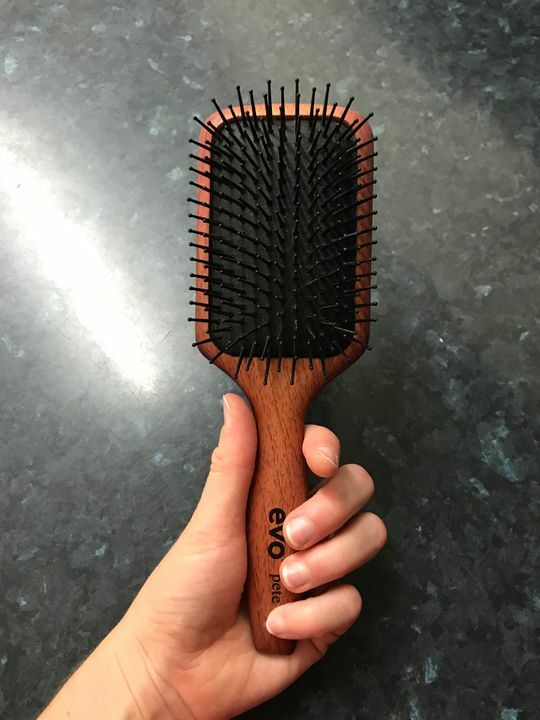 Evo Pete Ionic Paddle Brush is a multi-purpose styling brush for use on all hair types, but particularly well suited for smoothing and detangling hair. Recommended for detangling, straightening (without volume), or smoothing hair when creating updos. Suitable for use on medium to long hair, and on all hair types. Blast hair until it's 80% dry. Brush the hair in a downward motion from root to tip while applying heat from a hair dryer. Use a hair dryer with a nozzle to concentrate the air flow, providing a smoother finish. Great brush, sturdy build and made well with solid materials. As the brush is made of wood I would refrain from getting it wet just in order to keep it in the best condition. I love using this brush for blowwaves and styling.